First Take Fridays are a celebration of the ‘first time’ we played a game. Come see what our writers think about Kanoodle, Codenames: Duet, Root, Champions of Midgard: Valhalla Expansion, and Codenames XXL. 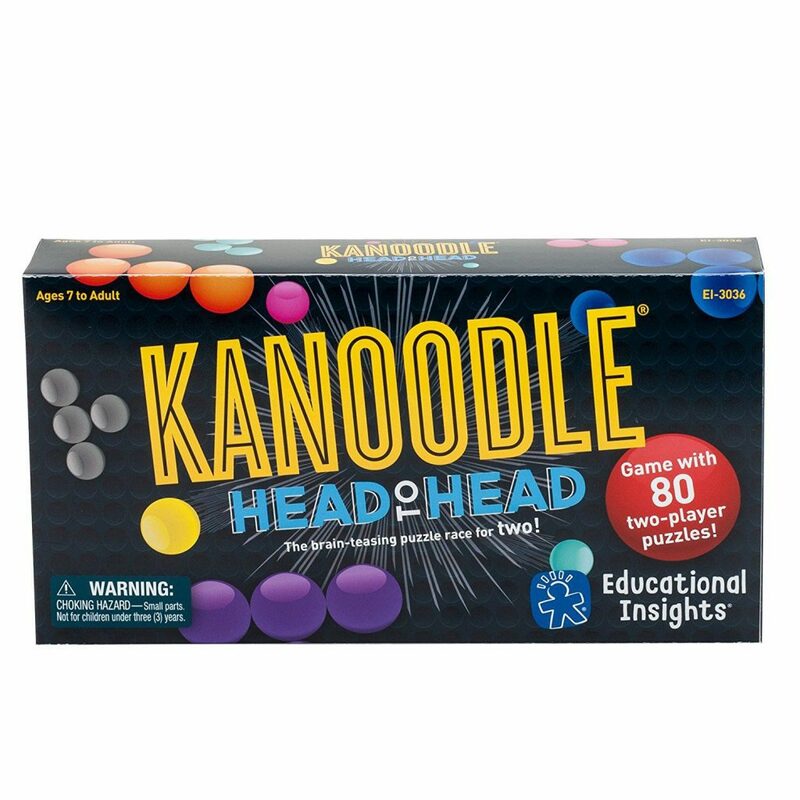 Kanoodle Head-to-Head is a small two player game that consists of a puzzle board, some 3D plastic puzzle pieces, a bunch of double sided cards, and an insert. The pieces are parceled out to each player (they each receive one of each type), the insert is placed into the holder, and a random card is slotted into the insert. Then, first making sure that the pieces pictured on the card are the same pieces and in the same configuration, the players race to fill their board using all of their remaining pieces. The first player to finish presses the button on their side of the puzzle board which causes the opposing player’s tray to flip up ejecting their pieces. Provided that first player actually achieved the goal, they win. I didn’t expect to enjoy this game because it seemed pretty simplistic to me. Then I actually played it. Before I knew it, my wife and I had played 3 games in a row. And then what began as a best 2 out of 3 became a best 3 out of 5 and that eventually became a best 5 out of 7. If it hadn’t been for our son getting fussy, we’d probably still be playing the game even now. While Kanoodle Head-to-Head’s not an overly complex game, it definitely brings out a person’s competitive nature. I doubt it will ever be my go-to game of choice, but it’s definitely one that I wouldn’t mind playing again if I’m in the right mood. Despite glowing praise from many reviewers (read Meeple Mountain author David McMillan’s thoughts on Codenames Duet), I was unconvinced this version of Codenames would be worth my time. I love the original Codenames as a party game, but I also love playing it with just two players. Does there really need to be another version of the same game? 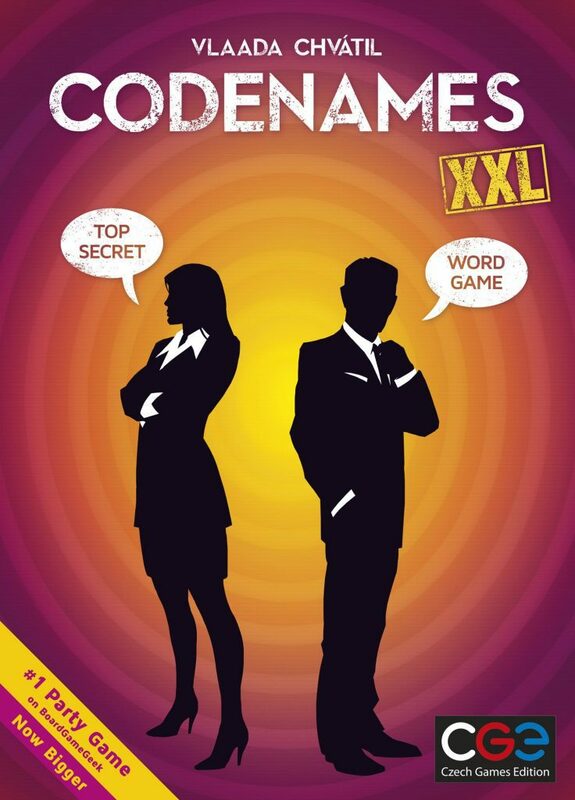 Codenames Duet works much like Codenames; give a teammate a one-word clue and a number. 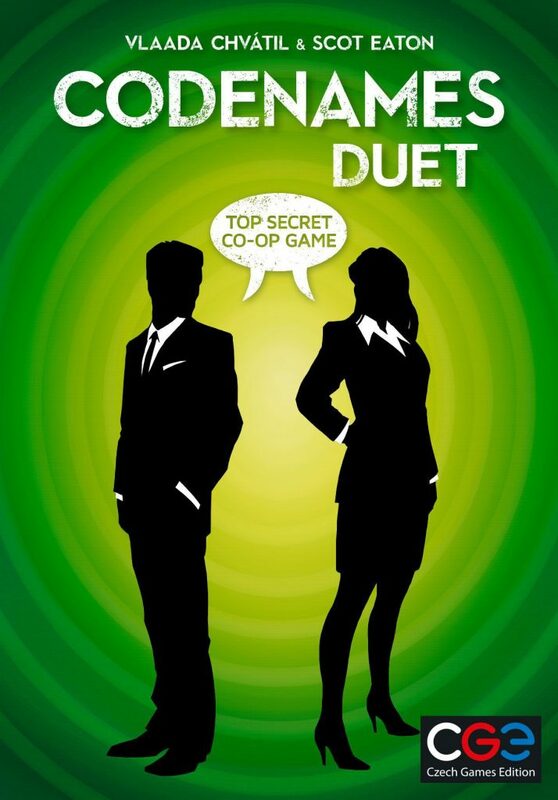 In Duet, two players work together to find 15 green agents using a double-sided key card. Each side has 9 green agents, 3 assassins, and bystanders and is different for each player. If you’ve done the math, you’ll notice that some green agents must overlap and be the same on each side (3 in fact), but neither player knows which agents these are. Sound easy? Well, it’s actually quite difficult since you only have 9 turns to identify all agents. Codenames Duet was a pleasant surprise. It offered the same gaming goodness as Codenames, but rejuvenated the two-player experience. The ridiculous tabletop banter is pretty much eliminated, but is instead replaced with tension and fear since every move you make is crucial. Even still, the game is fun and exciting, especially when your teammate guesses a word you never thought they would. I understand now why there is room on a board game shelf for both Codenames Duet and Codenames; the two games work similarly, but they are different enough to cater to their own audience. 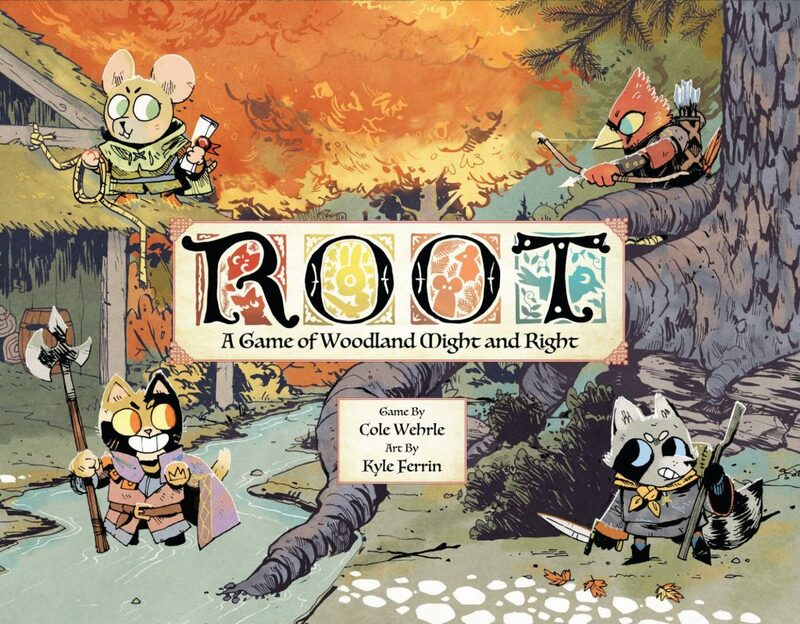 Root: A Game of Woodland Might and Right is a wargame laid on top of a theme similar to that of Brian Jacques Redwall series, or the classic Watership Down from Richard Adams. It pits mice, cats, birds, and raccoons against each other in a whirlwind game of area control and point generation. I’d seen so many people raving about Root that I knew I had to try it. I had the chance to play Root this past weekend; I was the Marquise de Cat, and my friend Jonathan was The Eyrie. Because I’ve only played once I’m not going to focus on the game, but instead I wanted to lavish attention on the “onboarding” experience. Wargames tend to be difficult for the first timer, so Leder Games has designed an amazing system of documentation, walkthroughs, and more, all created to quickly get you playing the game rather than just reading the rules. Each player has their own board which details everything needed to play the game. Each character has a card showing a diagram of exactly how their pieces should be laid out. Because each faction in Root has different objectives and play style, Leder Games provided a single card with information about how to counter that faction’s strengths. Finally Leder Games also created a two round walk through for all 4 base factions. It literally tells you exactly what to do during each part of your turn, and why. Root is a complex game, with lots of moving parts. It could very easily have been a non-starter for someone like me who leans towards light to medium weight games. But instead I’m excited to play again, and to try out all of the other factions as well. Kudos to Leder Games for raising the bar on what gamers could, and should, expect from modern board games. Well, I can say that the expansion definitely holds up to the hype that I had heard about it. Now, whenever a warrior dies (lose dice) you can take a token of that warrior which will help you get blessing cards. These cards that give you additional resources, dice, or even points or help you defeat Epic Monsters that give a ton of victory points. It does make you rethink how you play the game which helps those who have grown tired of the base game. 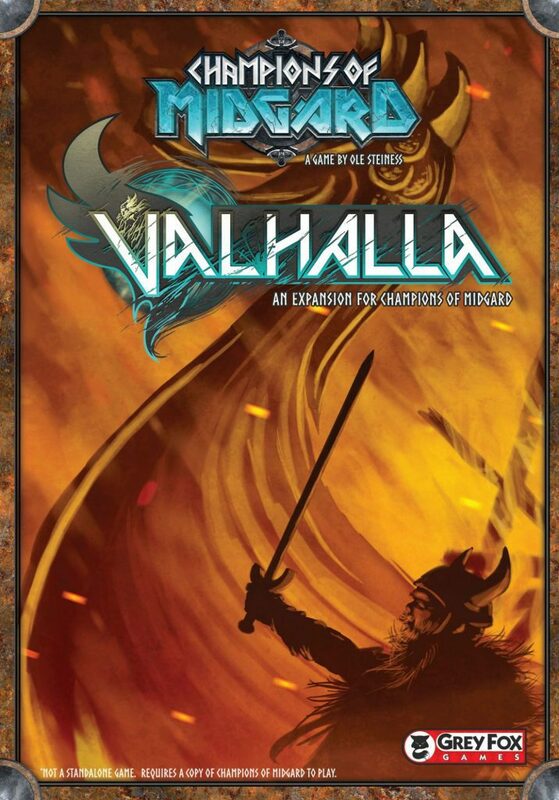 I still enjoy the simpleness of the Champions of Midgard base game, but the Valhalla expansion just adds a little bit more without making it bloated or complicated. I honestly don’t want to play the game without it! There’s this weird trend I have noticed in board gaming lately: supersizing everything. The formula takes an older game and then increases the game’s size without adding any new mechanics to it. I’ve seen it done with Kingdomino, Catan, and Azul just to name a few and the reason for doing this eludes me every single time. That being said, even though it makes no sense to me at all, when I was given a copy of Codenames XXL I wasted no time in getting it to the table. If you’ve never played Codenames before, here are the basics: there are two teams of people sitting around a 5 x 5 grid of words that are printed on cards. Each team has a clue giver that is trying to provide clues to get their team members to guess the words that belong to their team before the other team guesses all of theirs. Clues are provided in the form of a word followed by a number. For instance “Clowns, 2” given as a clue would inform the team members that there are two words out there that could pertain to the word “clowns”. The key to doing well is trying to knock out as many words as possible with a single clue. It’s harder than it sounds. My parents visited over Labor Day weekend and my wife and I introduced them to this game. It didn’t take them long to become fans. And I figured out one of the reasons for the supersizing of things. My parents’ eyesight isn’t what it once was and the oversized cards were just what the doctor ordered. While I’ve grown a bit jaded on Codenames over the years, it was still a lot of fun getting to play it with my folks. Previous postIs It Time to Abandon Battlestar Galactica (The Board Game)? Next postFirst Take Fridays – Degenesis of the Forbidden Hero’s Dragon War?